The Duke and Duchess of Sussex are striking out on their own — sort of. As of Thursday, Meghan, Duchess of Sussex (née Markle) and Prince Harry officially live in Frogmore Cottage at Windsor Castle. The new royal residence is an upgrade on their old space at Kensington Palace which they shared with Prince William and Catherine, Duchess of Cambridge, and will provide them lots of room to grow their family and their newly-minted social media accounts, which debuted earlier this week. With Baby Sussex due to make an appearance any day now, the added space at Frogmore Cottage (10 rooms as opposed to just two) will offer Meghan and Harry the space they need to raise their child, likely with the help of Meghan’s mother, Doria Ragland, who’s believed to be moving in with the royal couple at least temporarily to help in the months after the baby’s birth. It’s also been suggested that Prince Harry will take paternity leave following the baby’s birth, at least according to standard practice. 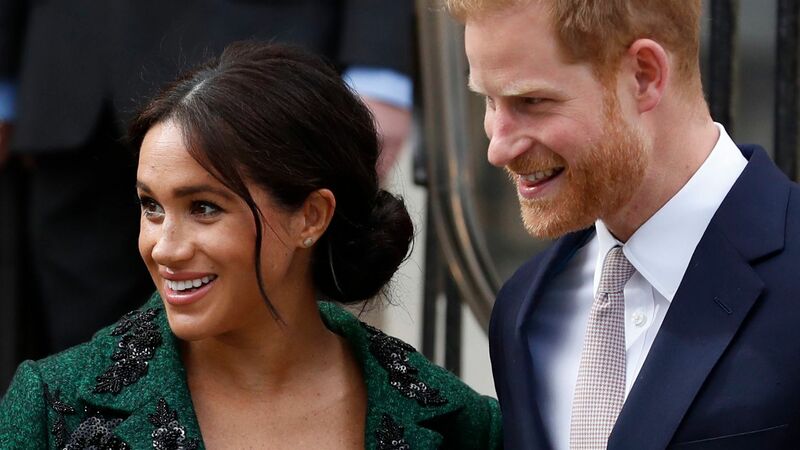 Earlier this week, royal correspondent Katie Nicholl told Time magazine that it is customary for royal fathers to take a two-week break from responsibilities after the birth of a new child. Meanwhile, Meghan is reportedly already planning her return to work. In the interim, there’s a question of whether the soon-to-be mom is considering a home birth, as reported by Vanity Fair, or if she’ll deliver at the Lindo Wing at St. Mary’s Hospital like Catherine, Duchess of Cambridge, as well as the late Princess Diana. If she does, another imperative question remains: will Meghan eschew the royal tradition of birthday photos on the steps of the hospital wing?